Aims: To evaluate the safety and efficacy of a lateral tarsoconjunctival onlay flap procedure in correcting multi-vector lower eyelid retraction. 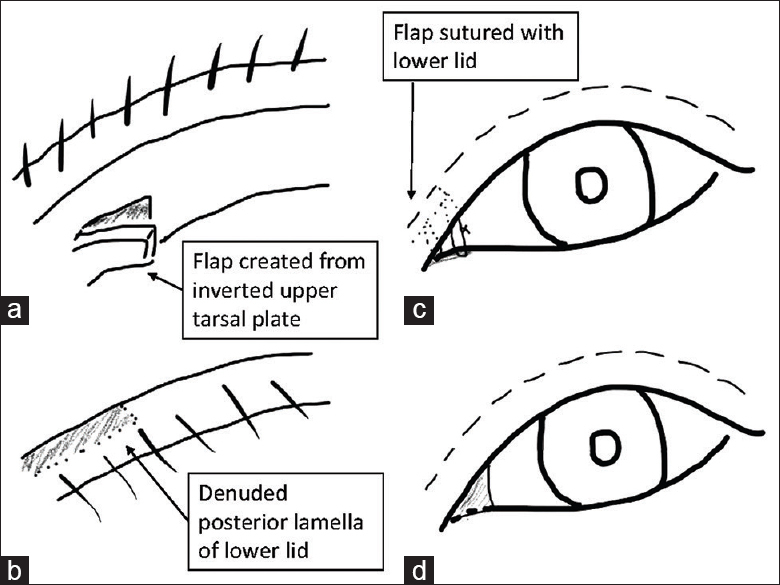 Settings and Design: A retrospective chart review of patients treated with a lateral tarsoconjunctival onlay flap procedure for lower eyelid retraction between 2008 and 2013. Subjects and Methods: Inclusion criteria were adult patients with multi-vector lower eyelid retraction who underwent a lateral tarsoconjunctival onlay flap procedure. Pre- and post-operative symptoms, ophthalmologic biomicroscopic findings, eyelid position, complications, and subsequent treatments were recorded. Results: A total of 147 eyelids from 131 patients were included. Exposure symptoms such as irritation, epiphora, photosensitivity, and glare improved in all patients. Signs secondary to abnormal eyelid position such as lagophthalmos, ocular surface exposure, exposure keratopathy, and eyelid retraction (both upper and lower) improved in all cases. Complications were rare but included pyogenic granuloma (n = 5), flap dehiscence (n = 3), and temporal visual field obstruction (n = 8); all were mild and patients either desired no intervention or had subsequent minor surgical management. Conclusions: The lateral tarsoconjunctival onlay flap was effective in this large series of complex lower eyelid retraction. 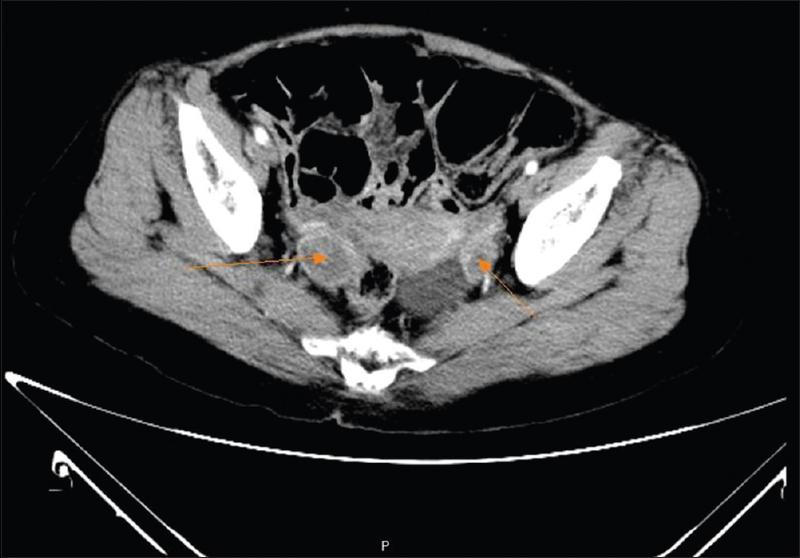 Object: This study was conducted to survey the perioperative complications in a patient more than 70-year-old undergoing minimally invasive transforaminal lumbar interbody fusion (miTLIF) and to examine if the incidence of complications differs from that of younger patients. Materials and Methods: A retrospective, comparative study was conducted. Patients who underwent miTLIF in our hospital between September 2007 and December 2010 were included and divided into two groups according to age: the elderly group (≥70) and the young group (<70). The perioperative complications of both groups were analyzed and compared. Results: A total of 185 consecutive patients were included. Of the 185 patients, 132 patients were <70 years and 53 patients were more than 70-year-old. There were no statistically significant differences between the two groups regarding patient characteristics except for diagnosis. The incidences of comorbidity were similar as well. There were no significant differences between the young and the elderly groups regarding intraoperative (3.79% vs. 9.43%, P = 0.1527), major (0% vs. 3.77%, P = 0.08), minor (24.24% vs. 16.98%, P = 0.28), and total complications (27.27% vs. 28.30%, P = 0.8874). There was no mortality in both groups. Conclusion: Based on our results, the incidences of intraoperative and perioperative major complications in the elderly were higher than that in the young, but the differences did not reach statistical significance. Objective: Hematological parameters play a significant role in metabolic syndrome (MetS) and its development in the elderly, but the association and different ability of each parameter to predict MetS have not been investigated in the very old populations. Subjects and Methods: This cross-sectional and longitudinal study included 18,907 participants aged over 65 years and followed up until MetS development with a mean duration of 4 years from the entry date. MetS was diagnosed according to the latest harmonized criteria with modification for waist circumference. Correlations between hematological parameters and MetS were analyzed and operating characteristic curves were compared among each parameter. Stratification was conducted by gender and age as follows: young-old (65-74 years), old-old (75-84 years), and oldest-old (85-94 years). Results: White blood cell count (WBC) and hemoglobin (Hb) levels in both genders of young-old (65-74 years) and old-old (75-84 years) and platelet (PLT) in young-old (65-74 years) males were independent factors for risk of MetS. However, only WBC (P < 0.001) and Hb level (P < 0.001) in young-old (65-74 years) males and Hb level (P = 0.03) in old-old (75-84 years) females were independent factors of future MetS development. For predicting MetS, WBC and Hb levels were better markers than PLT in the old-old (75-84 years) and young-old (65-74 years) males group. In young-old (65-74 years) females, WBC was the most sensitive marker. Conclusions: Hematological parameters were associated with MetS, showing gender and age effects. 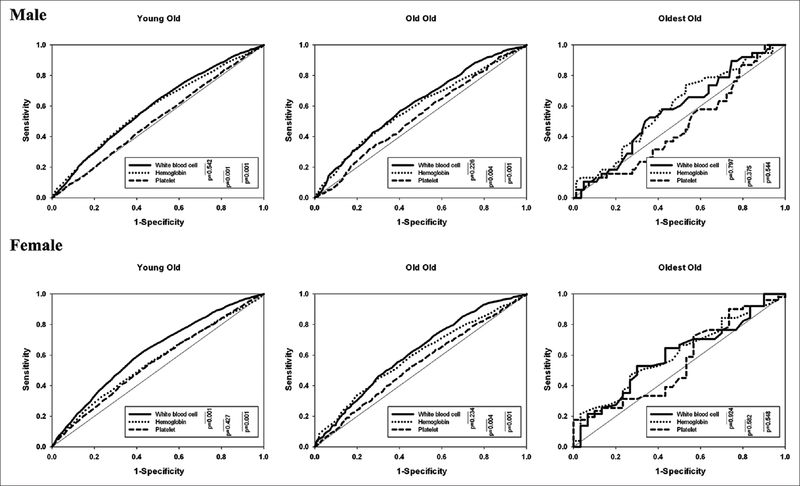 These findings can be used for risk estimation of MetS development in the older population. Background: The aim of this study was to examine the utility of the vascular ring connector (VRC) and compare the clinical outcomes to conventional suture technique in the operation for acute type A aortic dissection (AAAD). Methods: We retrospectively enrolled 64 consecutive patients (mean age 57.4 ± 12.7 years, range 24-82 years) with AAAD who underwent emergent surgery in our institution from September 2010 to November 2014. Patients were divided into VRC group (55 patients) and conventional suture group (nine patients) based on the use of VRC during the operation. The preoperative characteristics, operative variables, and postoperative outcomes were collected and analyzed. Results: Male patients predominated in both groups. The mean times of cardiopulmonary bypass and aortic cross-clamp were 200.1 ± 99.9 and 193.6 ± 54.7 min (P = 0.425) and 107.5 ± 56.2 and 112.3 ± 40.8 min (P = 0.404) in the VRC group and suture group, respectively. There were more blood transfusions within 24 h (1513.3 ± 949.2 vs. 841.8 ± 801.1 ml) and more mediastinal drainage amount (1314.4 ± 650.3 ml vs. 942.1 ± 527.2 ml) in the suture group than in the VRC group. In the VRC group, 36.3% of patients did not require blood transfusion. Moreover, the pumping time and cardiac ischemic times were longer in the one-VRC group than in the two-VRC group. Operative mortality did not differ between the two groups (10.9% in VRC and 11.1% in suture group, P = 0.985). No dislodgement of VRC during or after operation and no bleeding from sutureless anastomosis site were noted. Conclusion: Use of VRC is associated with equivalent operative mortality and morbidity compared to suture group in patients with AAAD undergoing an emergent operation. This study demonstrates the clinical safety and efficacy of VRC in reducing the need of blood transfusion within 24 h and mediastinal drainage within 72 h. However, further randomized studies and long-term surveillance of the use of VRC in AAAD are still mandatory. 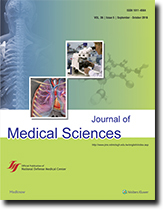 In recent years, literature has shown that zolpidem dependence is not uncommon in the clinical practice, but there is no standard guideline for treatment of zolpidem dependence. Benzodiazepine detoxification has been widely used for alcohol detoxification, which is also an inhibitory substance. We would like to share the experience of benzodiazepine detoxification and cognitive behavioral psychotherapy in a patient with high-dose zolpidem dependence comorbid with generalized anxiety disorder. We report three cases of Krukenberg tumor (KT): two were synchronous and one metachronous. 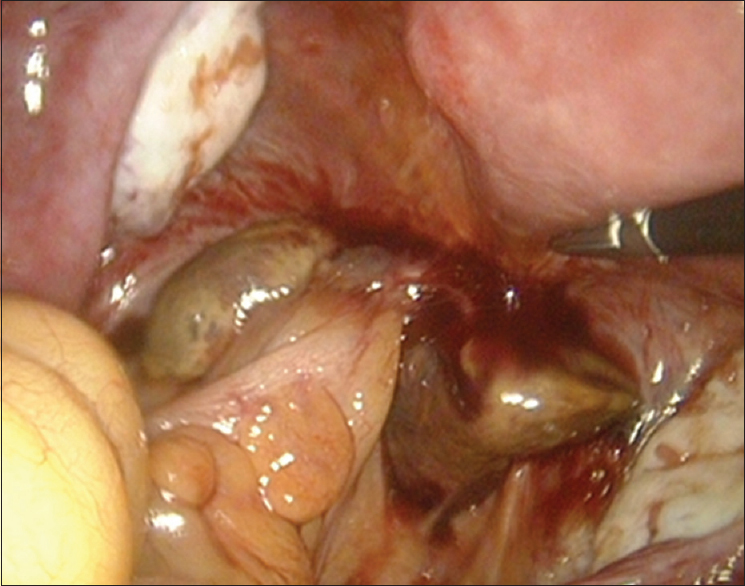 At presentation, the first synchronous KT patient had a palpable umbilical mass, the second had a perforated peptic ulcer, and the metachronous KT patient had an ovarian lesion, detected postoperatively. As we know, KT has a quite poor prognosis. According to some papers, surgery with chemotherapy increases survival more than 12 months. Consequently, our two synchronous KT patients received cytoreductive surgery with hyperthermic intra-abdominal chemotherapy and our metachronous KT patient received laparoscopic bilateral oophorectomy. No recurrences have so far been detected in any patient. Our patient with metachronous KT will undergo laparoscopy and hyperthermic intraperitoneal chemotherapy and our patients with synchronous KT will continue to be followed up to determine their final outcomes. Pulmonary Langerhans cells histiocytosis (PLCH) is a rare disorder of unknown etiology. It usually presents as an isolated lung disease in adults; however, involvement of other organ systems can occur occasionally. In the presence of characteristic findings, high-resolution computed tomography scan may be sufficient for a confident diagnosis of PLCH in an adult smoker. Pneumothorax is the most commonly reported pleural complication of PLCH, and pleural effusion is extremely rare. 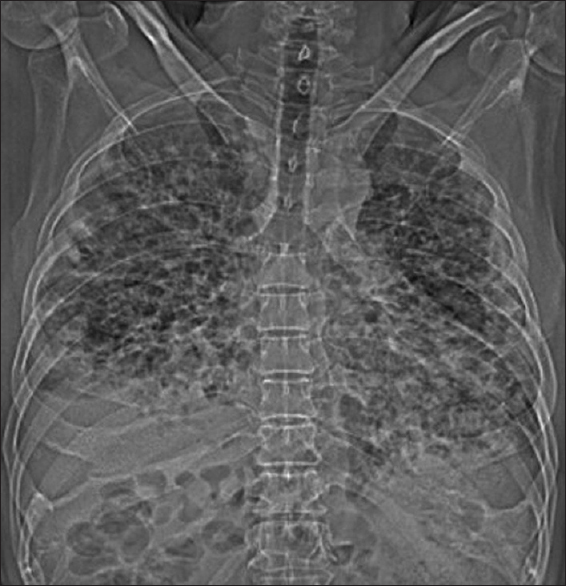 Herein, we present a case of advanced PLCH in an adult smoker presenting with concomitant exudative pleural effusion.